The goal of the Wright State University IT Security website is to provide information for protecting the University's computing and information resources/data by complying with information-related laws, regulations, policies, and security best practices. We are also concerned with the health of your computer and the protection of your sensitive information. For your personal protection against malicious internet activity, we encourage you to review the information on this site, specifically the section entitled Do IT Wright, accessible from the menu on the right. You are the only one who can protect your finances, identity, and personal data. Theft of personal data can occur both at home and at the university workplace, since employees of the university work daily with protected or personal information. If two pieces of information can be put together to provide access to obtain personal documents, security measures must be in place to protect that information. Paying close attention to the information on this website can provide you with valuable insight on how to protect both your information and the University's sensitive data. The CaTS Help Desk is here to help. If you have questions or concerns about information technology security, please see the Contact Us page. 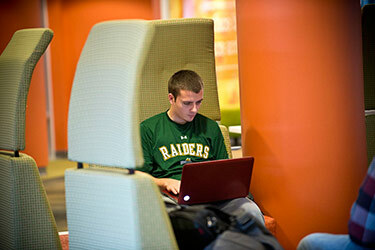 The Help Desk was recently notified of an email phishing scam that targets Wright State faculty. The email appears to be signed as Wright State President Cheryl B. Schrader, but is sent from a Eugene Eung-Chun Park. Do NOT open any files that have been attached to this email.